Dubai Hills Estate is a lifestyle destination built for sustainable living. This 2687 acre, master-planned development is an integral part of Mohammed Bin Rashid City and the result of an unparalleled vision of His Highness Sheikh Mohammed bin Rashid Al Maktoum to make Dubai one of the most sought after cities in the world to live, work and play. Dubai Hills Estate is strategically positioned on Al Khail Road and southeast of Downtown Dubai, making it an ideal haven for a relaxed and safe family life. 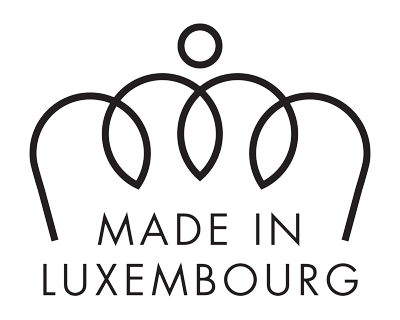 The development has an endless supply of nature trails and green spaces so you can live life in harmony with nature and world-class residential, hospitality and retail districts. This is where life truly is extraordinary. Dubai Hills Estate is your personal playground designed to keep you healthy and active. Spend a day at Dubai Hills Golf Club, a world-class 18-hole championship course with lush grasslands and stunning views of Downtown Dubai. The Tennis Academy will be staffed by international instructors to ensure that you play like a pro. Minutes away you can join in a game of football at the lively Village Park or take a short drive to Emaar‘s Dubai Polo et Equestrian Club to enjoy polo, show jumping and dressage. The trees, hedges and beautifully planted borders are all taken care of by a meticulous gardening team to ensure that the essence of nature is conveyed throughout the development. 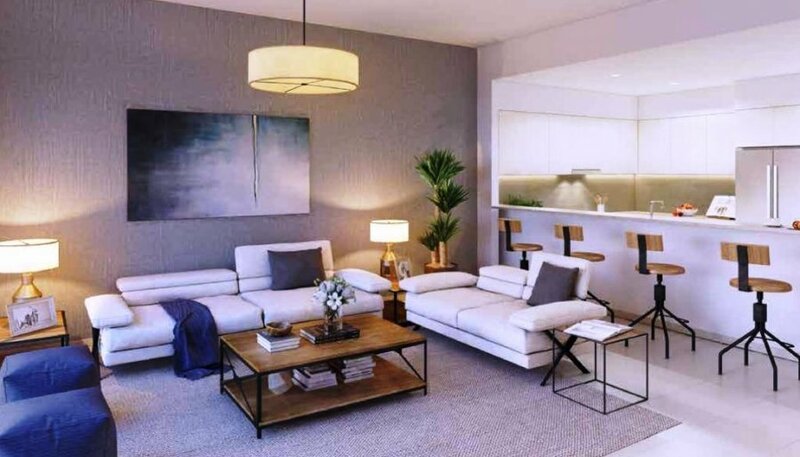 Dubai Hills Estate has been designed to bring a breath of fresh air to city living. Dubai Hills Estate is the perfect place for some retail therapy and fashion lovers will be spoilt for choice exploring the shops and boutiques that are set to line the Dubai Hills Estate Mall and boulevards. 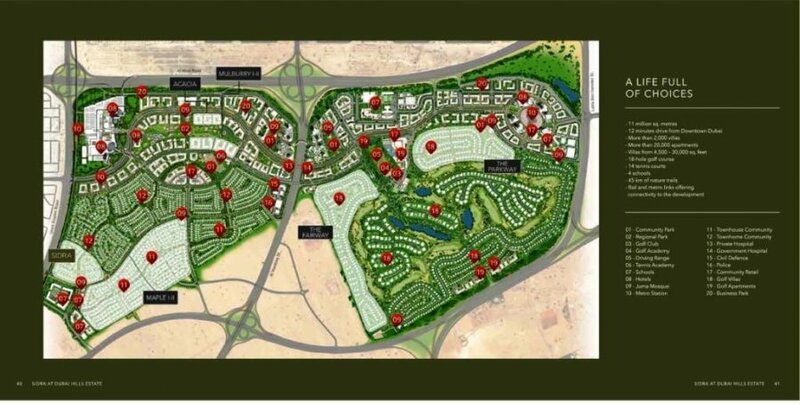 TUCKED AWAY TO THE WEST OF DUBAI HILLS ESTATE, SIDRA IS A PREMIUM COMMUNITY OF VILLAS, DESIGNED ALONG AN INTEGRATED NETWORK OF LUSH GREEN CORRIDORS. 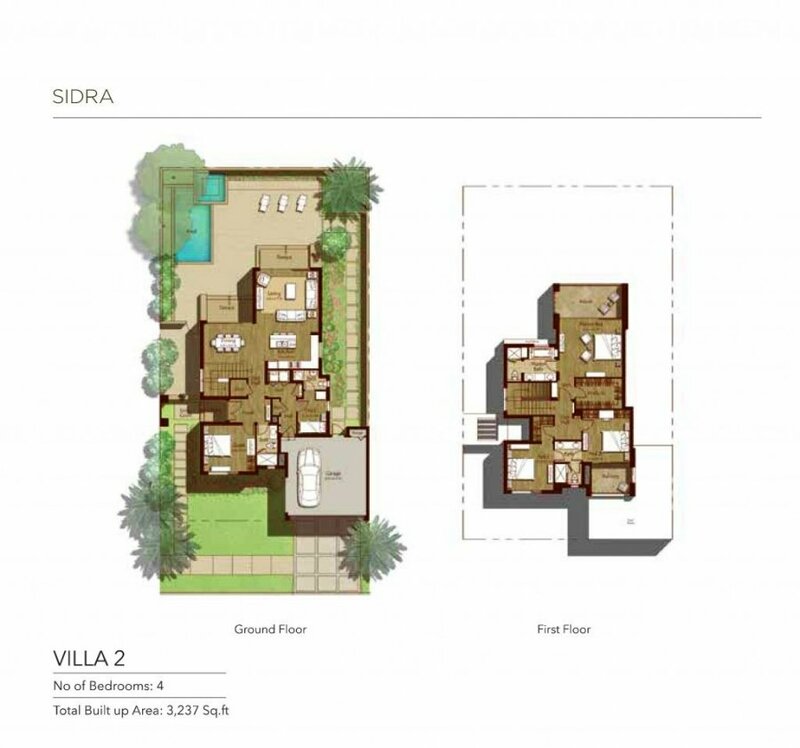 The exquisite villas at Sidra are designed exclusively for those with a taste for contemporary living. The community is master-planned to connect you with some of the best choices in education, shopping, healthcare and sports. Everything you could need and want for the best lifestyle is within the community. This is where convenience meets you at the comfort of your home. With an ultra-modern architecture, Sidra offers three, four and five bedroom contemporary villas starting from 3,102 to 4,283 square feet. Ranging between 3,102 and 4,283 square feet, the five types of villas all include a maid‘s room, covered parking, large gardens and swimming pool. Every single detail has been taken into consideration when it comes to the quality of building materials used to create your home. Immerse yourself with the things you love the most in a home planned to the very last detail. 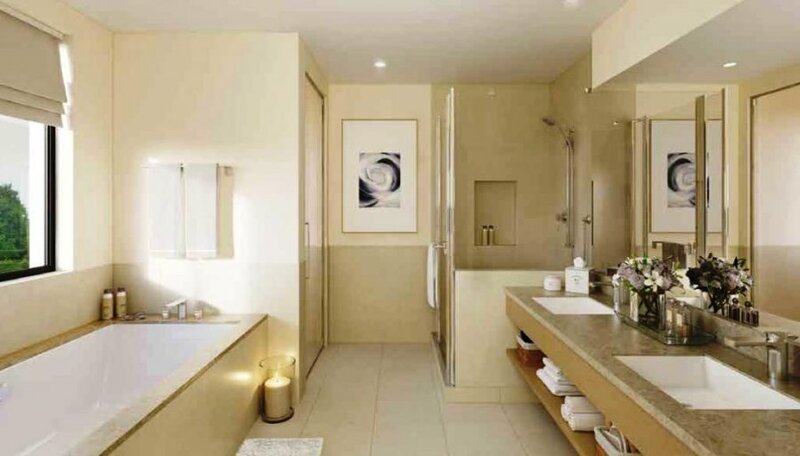 The collection of villas at Sidra are equipped with all the modern amenities you‘d imagine a private paradise to have; gorgeous kitchen fittings, stunning bathroom fixtures and efficient lighting are all part of the flawless Sidra experience. It‘s the home you wouldn‘t want to leave.